Too Old or Too Cold to Trick or Treat? 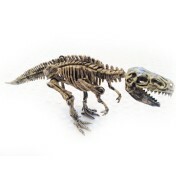 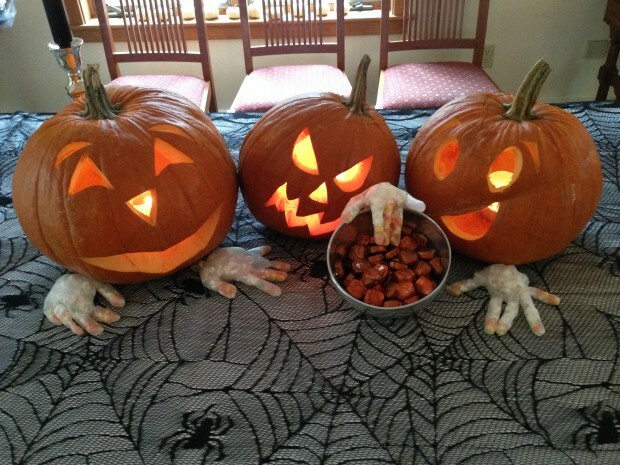 Turn Your Food into a Halloween Feast! 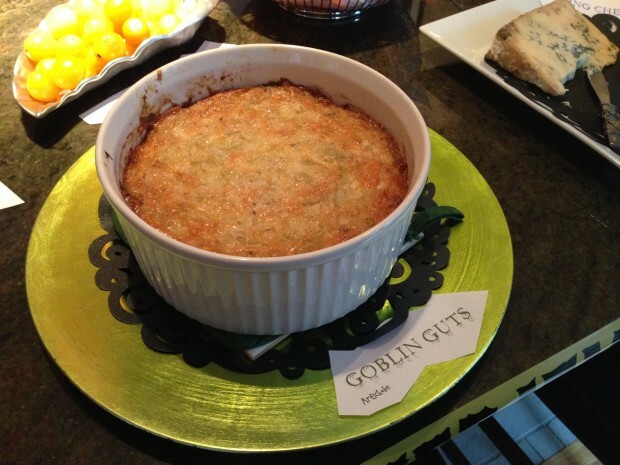 Warm artichoke dip became Goblin Guts…ew. 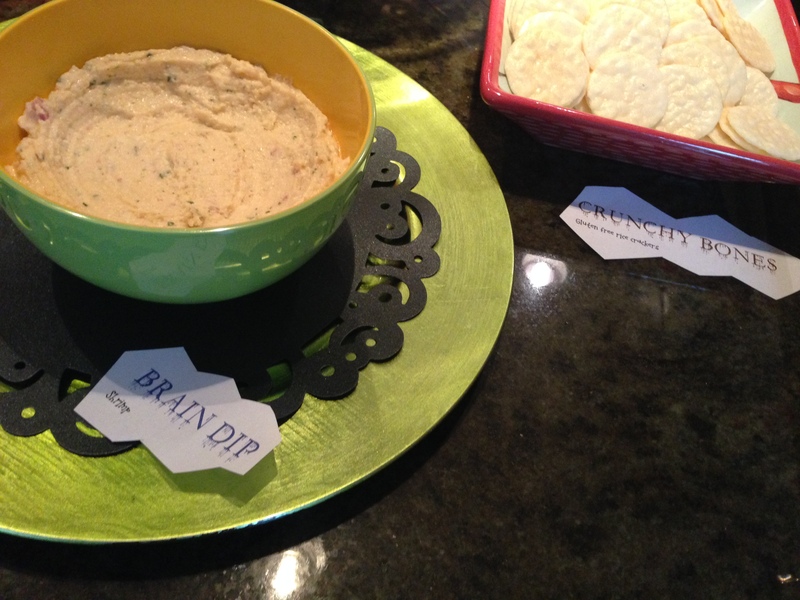 Shrimp Dip and crackers became Brain Dip and Crunchy Bones (onion dip would work for this, too). 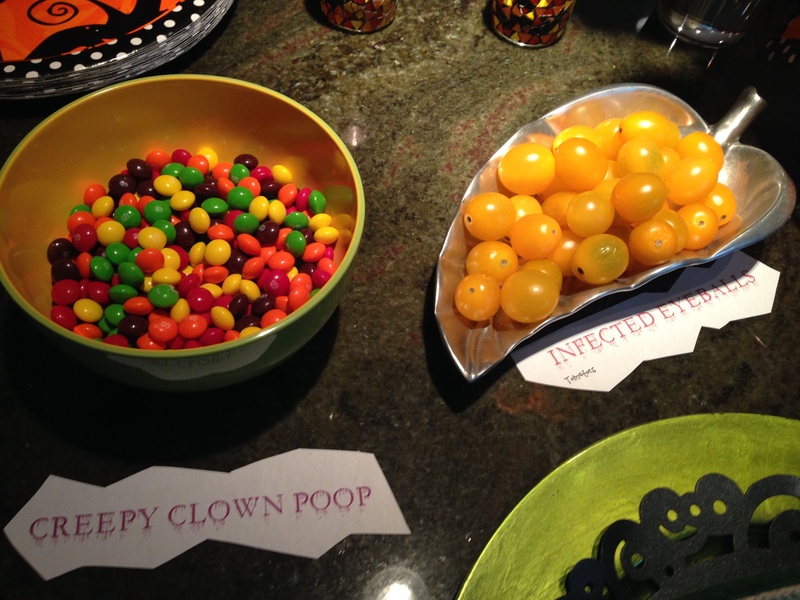 Fun fact: if you call Skittles Creepy Clown Poop, no one will eat them. Same goes for the grape tomatoes as Infected Eyeballs. 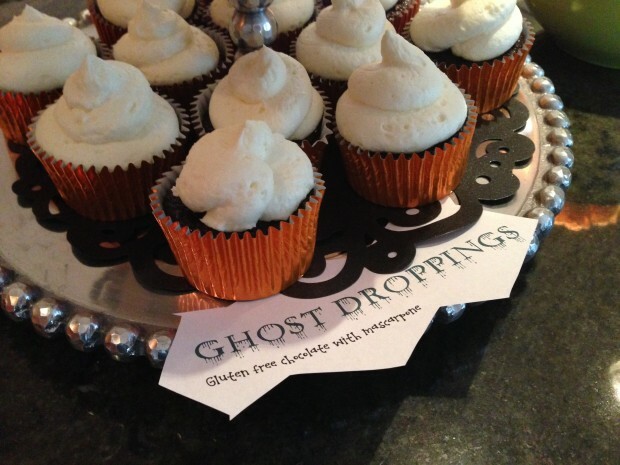 The cream cheese cupcakes dubbed Ghost Droppings were a big hit, though, so you never know! 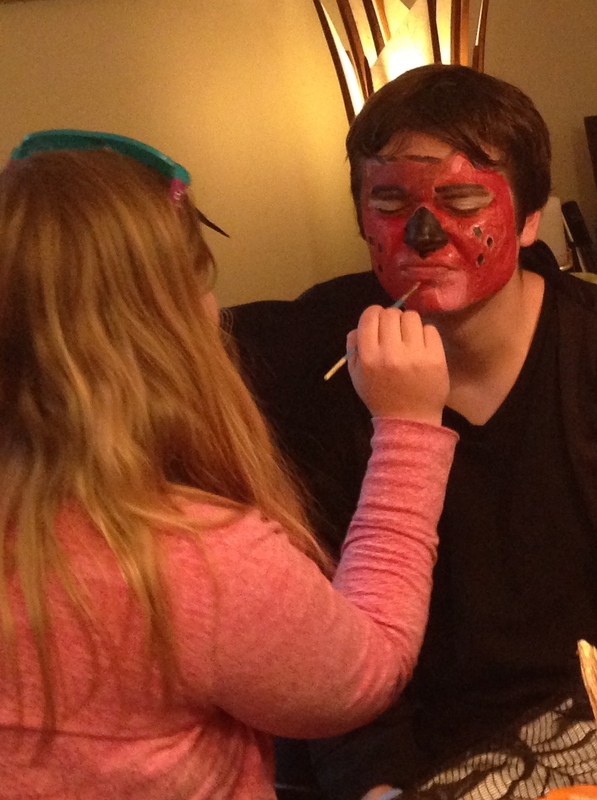 Some face paint and a Halloween playlist or a movie (we’re wimps, we always watch It’s the The Great Pumpkin, Charlie Brown!) and no one will miss the walk around the neighborhood in the rain.